Essentially all commercial buildings constructed with more than one story have elevators. If you are a building owner or tenant, you may be in contact with a maintenance contractor or mechanic. These individuals are typically capable of ensuring safe, reliable operation of your elevators, but they are not security professionals. Is your elevator equipped with default key switches? Does the keycard or badge reader in your elevator actually restrict passenger movement around the building in the manner you desire? Are you interested in secure remote monitoring solutions? 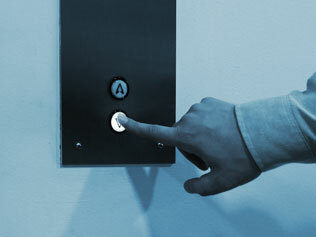 Would you like any use of special modes of elevator operation to trigger an alert within your access control system? The CORE Group can help you with all of this. Additionally, if you have any concerns that the standard maintenance and servicing of your elevators is not being performed in an appropriate manner, our qualified veteran elevator consultants can check your systems and prepare a full report detailing exactly what has or has not been recently replaced and adjusted at your facility. The CORE Group’s elevator specialists also have extensive experience with post-accident evaluations and have prepared testimony for numerous court cases.